The Ryan Russell Pipe Band Training program is now accepting entries to our NEW weekly training program for new pipers and drummers. We have 8 piping and 10 drumming positions for this year for young people ages 8-14. No music experience? No problem! All a young aspiring musician needs is an interest in music, a desire to become part of our team, and a willingness to work towards being a piper or drummer. The training program operates on a non-profit basis, and all tuition fees are used to cover instructor and incidental costs. Our instructors are very experienced and knowledgeable, and we follow a well-established curriculum for new pipers and drummers. Training registration fees for the year are $395 for October to June, or $280 from January to June, plus instrument and book costs. See the Costs page for more details. Check out the frequently asked questions for more info. If you have more questions, feel free to drop us a line. 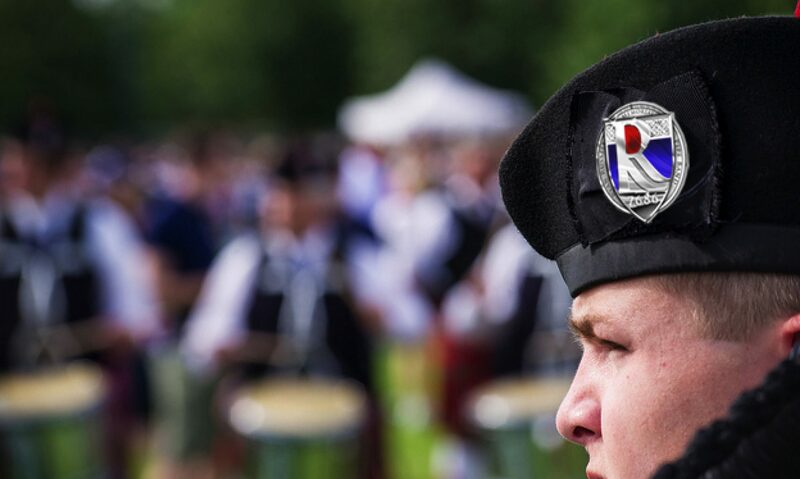 Sessions are held at the Toronto Scottish Armoury (70 Birmingham Street, in south Etobicoke) on Sundays at 9am and 10am. We will start a new program for beginner pipers and drummers on January 6, 2019. Contact us to sign up for a spot now!